January | 2013 | Where's your head at? Living up to your vision statement. The Universal Panacea. We all have them. The good old vision statement. So much promise. So much positivity. So much potential to move a school forward. A vision which has at some point on an inset day a year or two ago, had been ‘written’ by the whole staff, maybe the students had their say too. On the day, we all feel pretty good to have some say in the vision of our school. But it doesn’t take long for that vision to become a bit clouded. Usually after 9C Thursday period 5, or after a stressful break duty. Before you know it, the vision is long forgotten and when we revisit it in a year or twos time, well, it’s time to write it again isn’t it? So my question is; do YOU know what your schools vision statement is? No, I don’t mean your one sentence strap line, I mean the meaty bit which we all invested so much thought and energy on that inset day back in September? No? Me neither. So if the teachers who day in, day out work in that school can’t remember, let alone buy into our shared vision, what is the point? I am a believer in having a shared vision. As a teacher, I feel like someone with vision. I think you have to. You have to see how you can get the very best out of every child. You have to think about how you will guide them to being the best they can be that year. You have beliefs. You have a holistic view on the purpose of school. Don’t you? Good. A school can be a very different experience for every child. It can be a very different experience for every teacher. The Vision statement should help develop a shared sense of purpose and belief in what our schools should be. I think you could look at any vision statement every written; they pretty much all hold aims and values which we wouldn’t sniff at. Ok maybe the ‘21st century learner’ would get a few of us thinking fingernails on the chalkboard, but they are often full of stuff which we would find it difficult to disagree with. But what should we do with these statements which hold such promise? Well let’s start by adopting them wholeheartedly shall we? If we really, really agree with them? 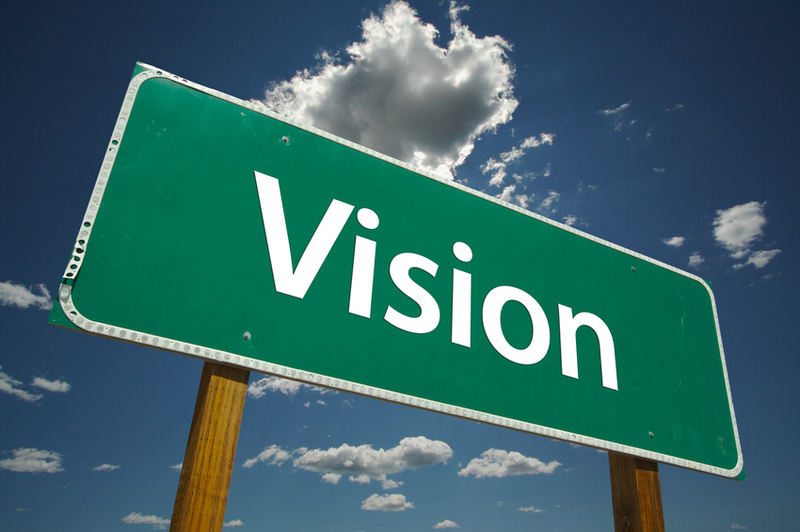 A vision held by all of us, including parents and children will fundamentally influence the direction of the school. But how do we do this? How do we all live up to the vision? Firstly, don’t put anything in there, you cannot live up to! ‘Where every child will reach their potential’ is a classic non-starter. The last thing I want the students I teach is to reach their potential by the time they are 16! Don’t get me wrong. I am the most idealistic teacher I know. Well, knew before I joined the twittersphere and realised there’s a whole heap of outrageously optimistic teachers out there. But I want my vision statement to be realistic, to be achievable, to be held dear to all who work and learn at my school. And every day, I want that vision to be seen and experienced by the students and staff at my school. It is up to all of us to ensure this vision is met. We all have to do our bit. So my Panacea is to live up to our vision statements. And let’s make those statements incredibly idealistic, but let’s make sure we really do live by them. And where we fall short, let’s ensure the right support is there to fix it. A vision statement, if it is to have any worth, should be something we are challenged to live up to every single day. Otherwise, what’s the point? So.. For what it’s worth, here’s my idealistic, achievable mission statement for me. Let me know what you think. I want every student I teach to be known by me; what makes them tick, what I can do to motivate, support and encourage them to be the very best they can be today and tomorrow. I want every student I teach to feel incredibly inspired and challenged by what they are learning in my classroom. I want every student I teach to see effort as the path to mastery. Nothing will be gained without a lot of hard work. I want every student I teach to understand what beautiful work looks like and what they need to give to produce it. I want every student I teach to talk passionately about their learning to their friends and parents. I want every child I teach to know what they are doing is really valuable and important. I want every child I teach to learn to be resilient enough to keep going when things get tough. I want every student I teach to leave my classroom wanting more. I want every student I teach to know they can become truly brilliant. Idealistic? Yup. Achieveable? I bloody hope so. So, a vision statement should hold us to account. It should make us question our teaching, our relationships in the classroom. It should make us question our values and it should allow our students, our parents and our community to be inspired and excited by the purpose of our institution. And maybe, just maybe, we should ALL know what it is! 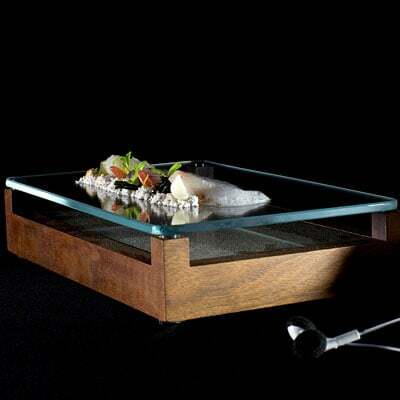 Learning from the Fat Duck. 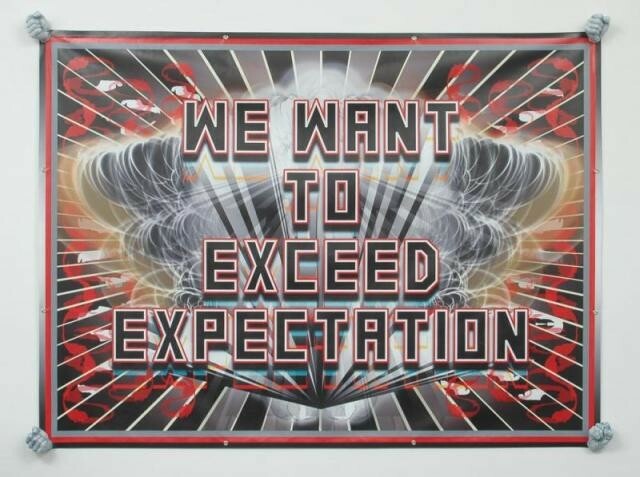 Developing a manifesto for excellence in schools. It’s been a long time since I first started thinking about writing this blog post. In fact, it was the final week of Masterchef the Professionals, which was mid-December, but you know what it’s like. Things get in the way, namely 11 for Christmas and all the cooking, drinking and eating that involves. So it’s new year, but this post is really important to me so I didn’t want to rush into it. Zoe Elder and Alex Quigley among a hatful of others, including my outgoing head teacher have spent a lot of the academic year analysing the extraordinary success of our British Cycling Team and more importantly, the thinking of Dave Brailsford and his Marginal Gains work. The way that the very best thinking has been utilised has been incredibly inspiring and I recommend you soak up their ideas here and here. I have often looked at Masterchef and felt a real affinity with the approach to learning the young chefs and amateurs always demonstrate. At the start of the programme, they always have quotes from the contestants saying such things as; “I’ve learnt so much, this has been an incredible experience, I don’t want to leave now, I just feel I’m beginning to find myself on this incredible journey.” You know the sort of thing. I have long felt that this is the exact response I want students to have in the school I work in. This is MY holy grail. Gulp. Anyway, back to the episode in question. It was the semi-final of Masterchef. The three remaining contestants were about to get their first taste of working in one of the best restaurants in the world, the restaurant which has changed the face of gastronomy; The Fat Duck in Bray. What grabbed me straight away, was how extraordinary, exciting, creative and beautiful each of the dishes shown at the start of the programme as the narrator introduced the new challenge. Well just like Zoe and Alex have with marginal gains, I wanted to see what schools can learn from the best. 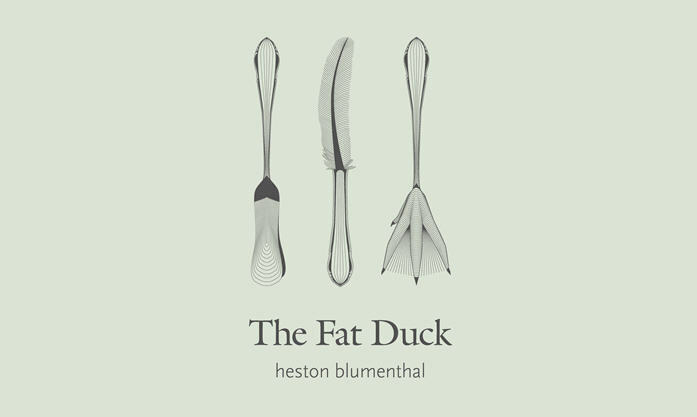 Heston’s Cooking Statement (available on the Fat Duck Website) gave me all I needed to begin to put my own manifesto together. We are motivated above all by an aspiration to excellence. YES! We wish to work with a curriculum of the finest quality and realise the full potential of each child we work with, whether a high flying polymath or a child who needs all the help and encouragement needed to flourish. And, with more than a nod to marginal gains, from the ground up, we need to analyse the potential impact on learning that every experience gives the children in our care. From the subjects we teach, to use of lesson starters, to the canteen experience. You can see where this is heading can’t you. A commitment to excellence requires us all to continually scour the world, for what we can discover to improve our practise to ensure that what we are doing is giving the very best experience to every child who enters our school everyday. In the past, lessons were constrained by the limited understanding of how we learn best, the facilities we had to deliver our lessons and a profession that was isolated from sharing the very best of what we do. Today, there is tremendous potential for the progress of our craft. We can develop our pedagogical thinking from every corner of the world. We can draw upon all the expert knowledge needed to develop teaching and learning to create a curriculum which gives every child an extraordinary experience of what learning can be. “The world’s culinary traditions are collective, cumulative inventions, a heritage created by hundreds of generations of cooks. Tradition is the base which all cooks who aspire to excellence must know and master. Our open approach builds on the best that tradition has to offer. Hello? Sound good or what? Yes we must endorse the very best from the past and use the techniques and models of knowledge which have served us very well. But, as the world continually evolves, so must we. We must all attempt to play a part in developing what we value as exceptional learning experiences. We all have a stake in becoming the history of tomorrow so it’s up to us to help write the future in our own classrooms. “We do not pursue novelty for its own sake. We may use modern thickeners, sugar substitutes, enzymes, liquid nitrogen, sous-vide, dehydration, and other non-traditional means, but these do not define our cooking. They are a few of the many tools that we are fortunate to have available as we strive to make delicious and stimulating dishes. Uh huh. You are getting on board now aren’t you? We won’t pursue every ‘Learning Bicycle’ that gets thrown our way, but anything which can make a real contribution to improving the learning experiences of the children we teach, we must, if we are striving for perfection, investigate, learn from, adopt and reflect upon. A continual cycle of improvement. The(once) fashionable term, personalising learning was coined in the mid 90’s to describe an approach away from mass education to a more bespoke curriculum and pedagogy. This should not define our approach. 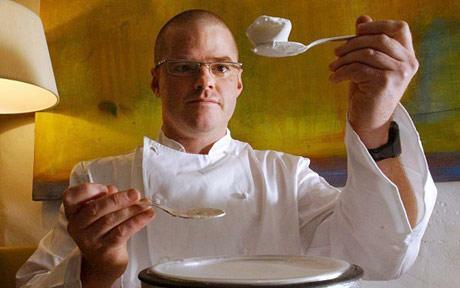 Like Heston, I prefer a curriculum in search of perfection. Need I say anything? If I was to write a manifesto for what I want learning to look like in my school or any school, I think the very best, most successful organisations and institutions in the world would be a very sensible place to start. So that, instead of a dog’s dinner of a curriculum we seem to be heading towards with Gove levels, we head toward unforgettable learning experiences which challenge, excite and leave the children in our care desperate for more. So just like those Masterchef finalists, I want the experience of learning to feel like a journey that you never want to stop being part of. 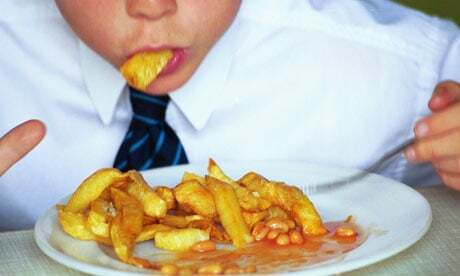 So what is it that we want our children to be digesting every day? The future is always ours to shape. It doesn’t matter wether Gove gives us the 50’s or not. Our classrooms can be our own 3 star Michelin restaurant if we so desire. It would certainly help if we are given the best ingredients and conditions to work with, but amazing things can be created from the most humble of ingredients. So next up… Skills development at Barcelona FC? Or Teamwork at PIXAR? A Manifesto for excellence in schools is beginning taking shape. In my head anyway.